Are you a Mumford and Sons fan? I’ve been listening to them for a while now. In fact, I think I was their first fan ever. Ok. Probably not, but their lyrics are just so… so… poetic and meaningful and heart touching and real. 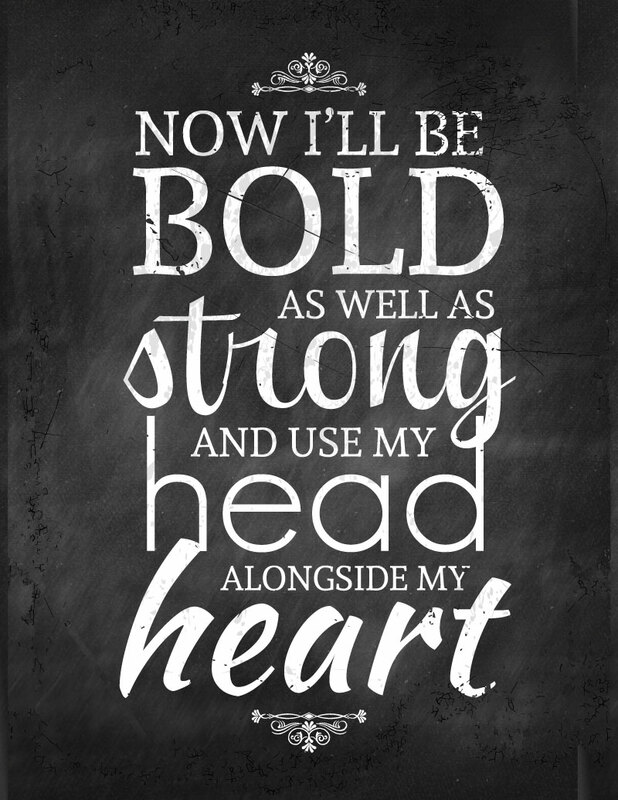 So, today’s printable is one of my very favorite quotes (read it and you’ll see why) from my very favorite songs. 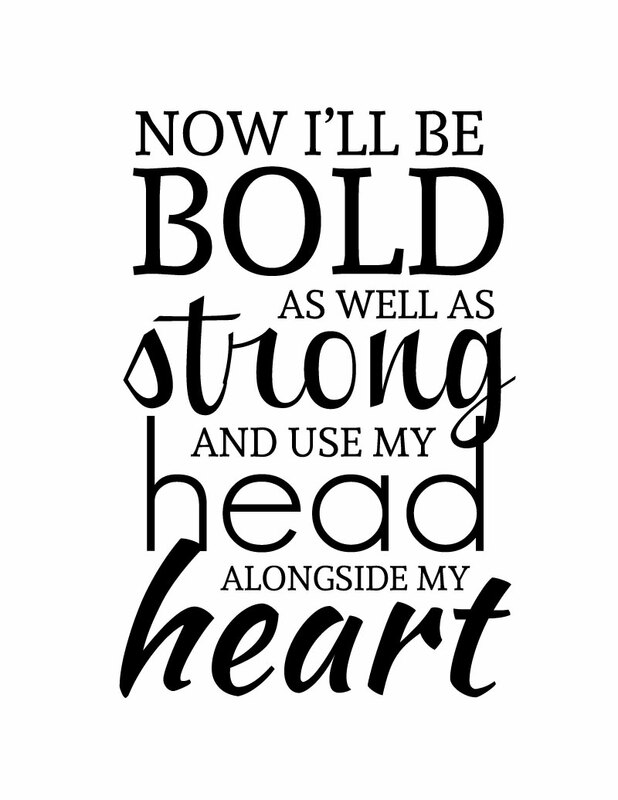 I hope you print it out, frame it and think of me and being bold and using your head alongside your heart often! Which do you use more? Your head or your heart?